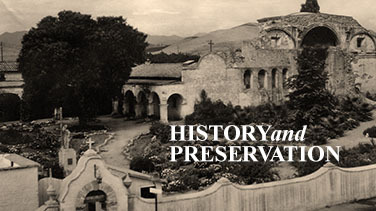 Mission San Juan Capistrano reserves the right, at its sole discretion, to withhold and/or withdraw permission to film on its premises or to reproduce film of objects in its Collections. Policies have been outlined to provide further information on how to gain necessary approvals for various filming needs. 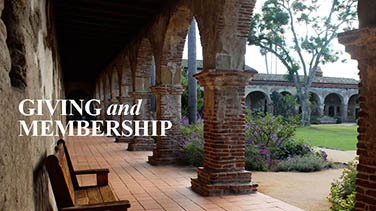 Mission San Juan Capistrano charges site fees for all filming/photography intended for commercial purposes. Funds go towards the future preservation of the historic Mission. Site fees are also charged for using the Mission as a setting for other projects that are not considered personal snapshots or editorial coverage by the press. Site fees vary based on the details of each project. First complete the online filming application to be considered. This must be completed before any commercial filming, and photography dates can be considered and approved. Once the online application is received, you will be contacted for the 50% non-refundable deposit. The deposit is required to book your filming dates. Obtain proof of $1,000,000 ($1 million) liability insurance policy. Upon filming dates approval, you will be required to submit proof of insurance. The Mission reserves the right to approve final content for anything in which the Mission or its properties will appear, either by name or by visual representation. 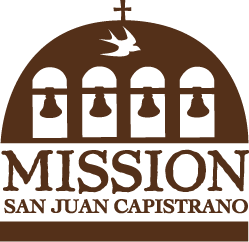 For books, videos, films or other projects, Mission San Juan Capistrano must receive full details of any dialogue, written content or other accompanying information for review prior to approval. Mission San Juan Capistrano reserves the right to decline any request for any reason.